Hello again peeps, today I'd like to show you all my little group, following pictures will be posted soon. Last edited by ToyRobot on Tue Jul 21, 2015 11:30 pm, edited 2 times in total. Very, very interesting. I like the way your Strarf Mk2 looks. Some gorgeous shots here...and welcome to the boards! Nice shots. Love the hotdog series especially. 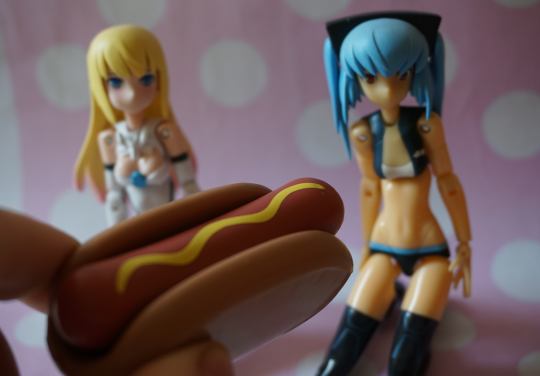 Uh-oh, Shinki fight over a hot dog!